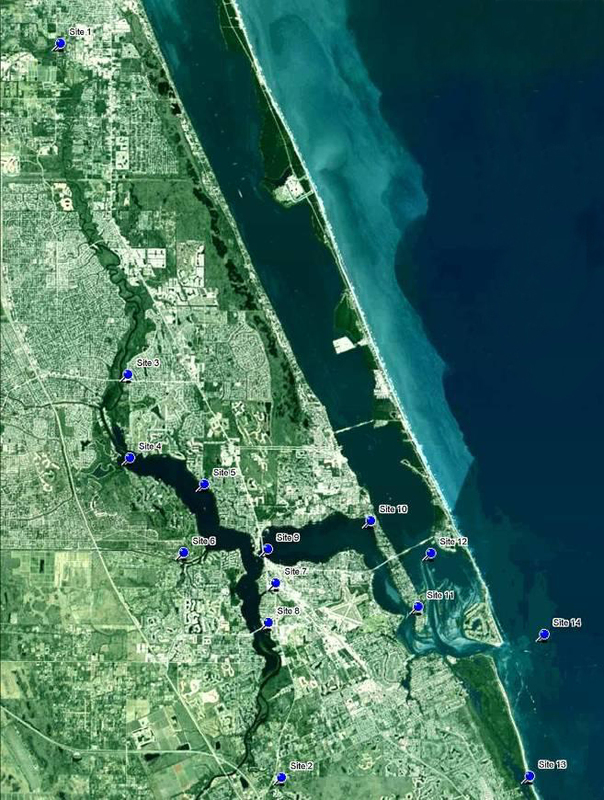 An extensive surface water quality monitoring program was conducted by ERD within the St. Lucie Estuary from 2001-2002. Field monitoring was performed at 6 significant inflows into the St. Lucie Estuary which included Five Mile Creek, South Fork of the St. Lucie River, North Fork of the St. Lucie River, Blakeslee/Winters Creek, Bessie Creek, and Poppleton Creek. Monitoring at each of these sites included field measurements of flow rates using the USGS-recommended velocity/cross-sectional area method, vertical field profiles, and collection of surface water samples for laboratory analyses of nutrients, TSS, chlorophyll-a, and microbiological parameters. All field and laboratory activities were conducted exclusively by ERD. 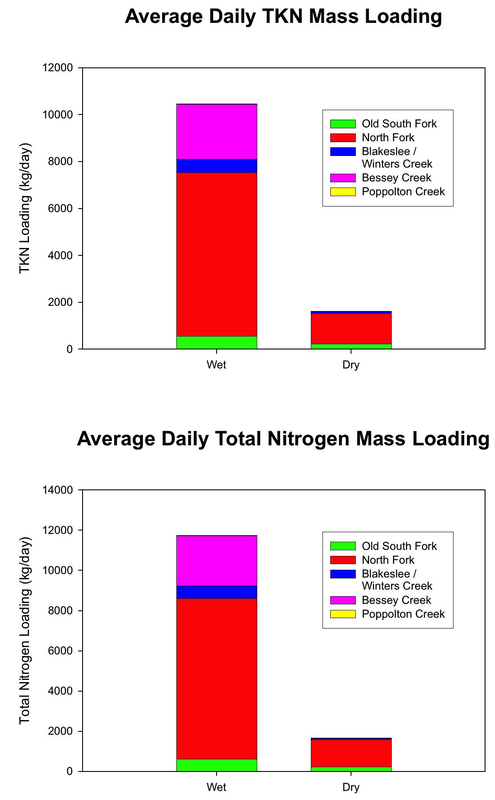 The results of the monitoring program were used to provide estimates of mass loadings from each of the tributaries into the St. Lucie Estuary under dry and wet season conditions. Surface water monitoring was also conducted at 8 sample sites located within the St. Lucie Estuary and Intracoastal Waterway. Vertical profiles of physical-chemical parameters and photosynthetically active radiation (PAR) were conducted at each site, and surface water samples were collected from surface and bottom locations. The collected samples were analyzed in the ERD Laboratory for nutrients, TSS, and chlorophyll-a. All field and laboratory activities were performed exclusively by ERD. The results of these monitoring activities were used to evaluate changes in water quality characteristics throughout the estuary and to evaluate cause and effect relationships between tributary inflows and estuary water quality.